[RALEIGH] The NCNAACP is threatening to, once again, take the NC legislature to court to stop a recently past early voting law that would eliminate the last Saturday in the early voting period – the most popular early voting day for African-Americans in the past two years. The civil rights organization also expects to battle a new bill to put voter ID on a public referendum this November. 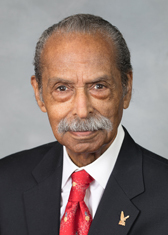 "We believe that, most recently, the activity in the General Assembly certainly announces to us that there is a continued quest to suppress the votes of African-Americans and minorities," state Dr T. Anthony Spearman, president of the NCNAACP. “We're up to their schemes, we're up to their wiles and we're going to do all that we can to expose them," Spearman continued. "We will use every ounce of strength and energy that we have as North Carolina NAACP to oppose this. If it means litigation, that's certainly something that we will consider." [RALEIGH] As the governors of Maryland and Virginia have done, North Carolina Gov. Roy Cooper has also reacted sharply to the national crisis of children being taken from their mothers at border detention centers. "The cruel policy of tearing children away from their parents requires a strong response, and I am recalling the three members of the North Carolina National Guard from the border,” Gov. Cooper said in a statement Tuesday. The state had deployed three National Guardsmen and a helicopter to the U.S. southern border. [RALEIGH] A federal judge has announced that she is dismissing the lawsuit the NC Democratic Party filed against the NC General Assembly for eliminating NC judicial primaries. U.S. District Court Judge Catherine Eagles said she will release her findings next week, but that she will rule in favor to the legislature “with prejudice.” One hundred-twenty candidates filed Monday for judicial seats. Elections are scheduled to be held Nov. 6th. 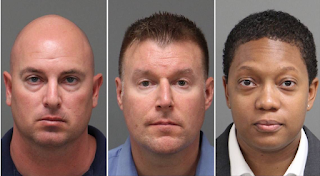 First there was dashcam video showing at least two North Carolina State troopers, and a Wake County Sheriff’s deputy with a K-9 dog attacking Kyron Dwain Hinton on the night of April 4th in Raleigh. Hinton, the video shows, was unarmed, even though officers at the scene were told that he was before they arrived. 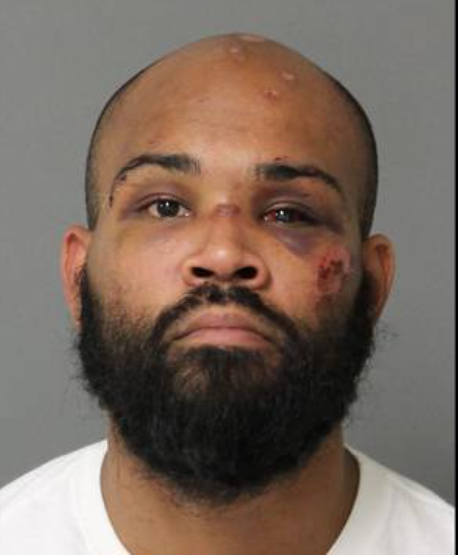 The 29-year-old black man sustained a broken nose, fractured eye socket, and several dog bite injuries after the encounter, and spent three days in the hospital before being transported to the Wake County jail. Charges against him were eventually dropped. The two troopers, Michael G. Blake, and Tabithia L. Davis, an African-American; along with Wake Sheriff’s Deputy Cameron Broadwell, were indicted for felonies by a Wake County grand jury May 15th for their alleged excessive force on Hinton, which included beating him with their flashlights, and unleashing the K-9 dog on the unarmed man. Troopers Blake and Davis were subsequently fired by the state Highway Patrol last Friday. But now, according to published reports, there is also audio from the dashcam recording from another patrol vehicle on the scene that purportedly reveals that a Highway Patrol supervisor, Sgt. Rodney W. Goswick, may have advised troopers Davis and Blake to lie about the use of force in the incident in their official reports. Defense attorneys for the two now ex-state troopers did not object when the revelation was made during the court hearing Friday. In fact, as Wake District Attorney Lorrin Freeman began to reference the newfound evidence, Judge Graham Shirley cut her off, and indicated that he, in fact, had already heard the controversial audio. "Having reviewed the video and audio yourself and the petition, you are aware that there is discussion at the end of it regarding the filing of reports that would have reflected no use of force in this instance?" Freeman asked Judge Shirley in open court. "If in fact these individuals went in, as discussed, and filed reports reflecting that they had not used force…,” DA Freeman continued, “… when they clearly have otherwise in the same audio made admissions of using force, then[the law] does not protect a law enforcement officer who comes and fraudulently and falsely files reports of the incident." Judge Shirley then recited what he says he heard on the recording. "[Sgt] Goswick told them specifically what to put in. Ordered them. If you listen to his order, his order didn’t tell him to write the report. His order was 'this is what we're going to put in the report, everybody agree on that', essentially," Judge Shirley said. Prosecutors filed motions to have access to both Blake and Davis’ personnel files for trial. It has already been reported that Blake was involved in a previous excessive force case in 2016. "(There are) several incidents that the state is already aware of, of prior use of force investigations involving defendant Blake. It is the state's position, your honor, that this very well may constitute a pattern of conduct which would be admissible against him in a trial of this matter,” D.A. Freeman said. Judge Shirley indicated that he will consider the matter, and what personnel material, if any, would be released for trial. Meanwhile, Sgt. R. W. Goswick has reportedly been placed on administrative duty by the NC Highway Patrol last Friday, though no official reason was given. history of drug use. Advocates for Hinton says he suffers from PTSD. Hinton is currently facing a possible misdemeanor charge for allegedly kicking a deputy on June 2. To no one’s surprise, Republican legislative leaders, in their rush to end the short session, have unveiled some last-minute laws designed to radically affect voting across the state as early as this fall’s midterm elections. 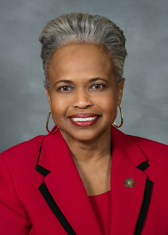 And just like their predecessors, these voting laws are designed to impact African-American voters just enough to help the GOP maintain their majority in the NC General Assembly, critics say. Last Friday, the Republican-led NC General Assembly passed Senate Bill 352, which starts early voting in North Carolina this year on Wednesday, Oct. 17thand ends Friday, Nov. 2 – eliminating the final Saturday of early voting, traditionally the most popular early voting day for African-Americans. 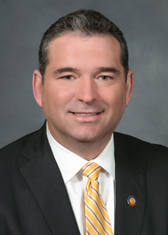 In the state House, the bill’s sponsor, Rep. David Lewis (R-Harnett), lauded how the measure was a much-needed boon to early voting across the state. The bill, which was originally related to something else before it was gutted in the middle of the night and rewritten last week, also forces all early voting sites to open weekdays from 7 a.m. to 7 p.m. in all 100 counties. 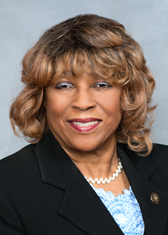 Sen. Gladys Robinson (D-Guilford) lamented what she called, “…just another attack on freedom…,” when it came the hard fought battle to achieve voting rights historically. Michaux repeated the “suppression” charge, as he blasted House Republican colleagues. Republicans bristled at that ruling then, now insisting that all they are trying to do is bring uniformity to early voting. The measure now goes to Gov. Cooper, who is expected to veto it. GOP lawmakers are expected to override that veto, and the law may ultimately end up in court. And per the new voter ID bill the GOP has introduced, North Carolinians want the integrity of the voting process protected, they still insist. Critics note, however, that while evidence of in-person voter fraud is few and far between, the same can’t be said about mail-in absentee ballots, which the referendum does not address. Another issue on the voting front is the US Supreme Court 5-4 upholding of Ohio’s voter purge law. The High Court sided with the Buckeye state in purging voters from its voter registration rolls who filed to vote in two consecutive federal elections, and then did not respond to notice mailed to them. NC Congressman G. K. Butterfield (D-NC-1), in an op-ed published last week, warned that the Supreme Court ruling now gives the greenlight to states like North Carolina to follow Ohio’s example. “In North Carolina, this ruling has the potential to prompt Republicans to pass additional voting laws that will disenfranchise low-income and minority voters as it has done over the past seven years,” Butterfield continued.